In the world of grief and loss, we often forget that not only do we need to take care of our emotional state, but it is critical that we take care of our physical state as well. The body and the mind are not two separate entities, but instead, they work together to help us process the unthinkable and move forward stronger and healthier. My goal is to get people moving with exercise so they are better able to move forward with their lives in a positive and life-affirming way. 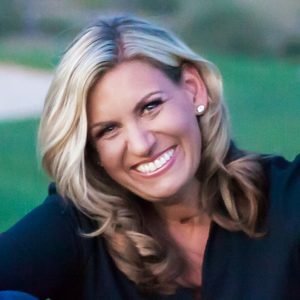 Michelle Steinke-Baumgard is an author for HarperCollins, speaker for WME, virtual fitness coach, mother and a re-married widow. After losing her husband, Mitch, in 2009, she turned to exercise as an outlet for grief and a way to handle stress. Michelle found it so powerful that she eventually quit her corporate job to become a fitness trainer and launched the popular blog, One Fit Widow, where she writes about using fitness as a grief coping mechanism. Since then Michelle has been featured in Fitness Magazine, Shape Magazine, contributed to articles for Prevention Magazine, The Huffington Post, and countless other media outlets. In addition to her virtual training business, Michelle launched her nonprofit, Live the List, in 2014 focused on helping widows and widowers complete bucket list dreams to honor their late spouse while moving boldly into their future. You can find Michelle on One Fit Widow Facebook page and on her blog. Michelle’s new book, Healthy Healing: A Guide to Working Out Grief Using the Power of Exercise and Endorphins, focuses on using fitness as a grief coping mechanism and is available now wherever books and e-books are sold. Learn more at www.healthyhealingbook.com.